Snow emergency has been declared in several US states as a storm bringing hurricane-force winds and 36ins of snow barrels down on the north-east. “Recognize this as an emergency, this is not business as usual,” said NYC Mayor Bill de Blasio. Heavy snowfall is forecast from Philadelphia to Maine, falling up to four inches an hour in some areas. New York, New Jersey, Connecticut, Rhode Island and Massachusetts have declared states of emergency and a blizzard warning has been issued for an area inhabited by 20 million people. 5,000 flights in and out of airports along the East Coast cancelled. 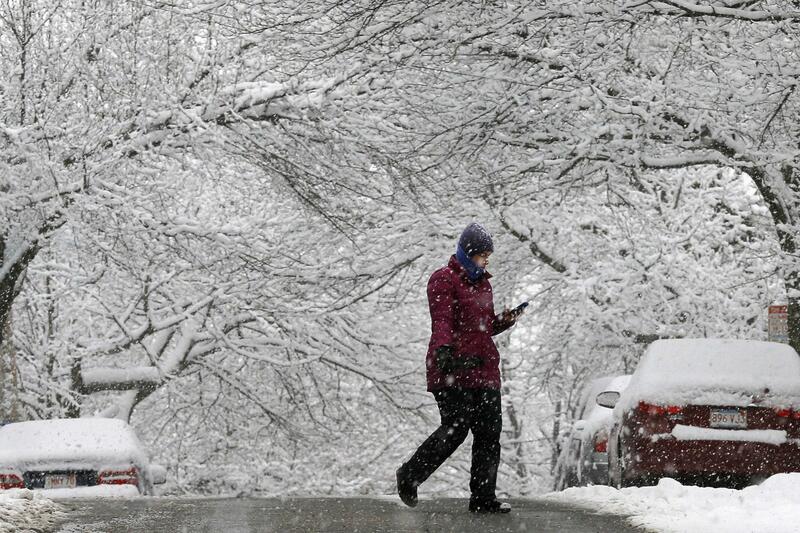 New York Governor Andrew Cuomo urged commuters to work from home on January 26. He also warned that public transport and major roads could close before evening rush hour. New Jersey Governor Chris Christie said state offices would close at lunchtime. Hurricane-force winds of up to 80 mph (129km/h) will batter Cape Cod, the islands of Nantucket and Martha’s Vineyard, according to the National Weather Service in Taunton, Massachusetts. The heaviest snowfall will come in the early hours of Tuesday, with 15 inches expected between 01:00 and 05:00 local time, and 30 inches in total in parts of Massachusetts. During a Monday afternoon press conference, Mayor Bill de Blasio urged residents to stay out of the way of the 2,300 snowploughs clearing city streets. “You can’t underestimate this storm,” the city’s mayor said.